Satisfaction is…that extra special gift! 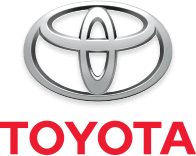 Moose Jaw Toyota | Satisfaction is…that extra special gift! Satisfaction is…that extra special gift! Purchase any new Toyota during December, and choose a gift from under our tree. ‘Tis the season. Let’s celebrate the gift of giving! For the month of December, purchase any new Toyota and choose 1 of over 40 gifts from under our tree. Gifts will be valued at up to $1,500, ranging from winter tires and remote start, to game consoles—and more! Our Toyotathon is still on. Get in on the savings! You can lease or finance from 0% on select, new models. Receive up to $1,500 in cash incentives on select RAV4 models. Lease or finance from 0% on all models. Drive away from $32,589 plus tax, and earn up to 5,000 Aeroplan Miles. You can get up to $2,000 in lease and finance assist money on a 2018 Camry. Drive away from $29,194 plus tax. *On select in-stock inventory. See dealer for details. Valid until December 31st, 2018.